Forget the boatload of 5G, automotive, and 8K TV announcements. 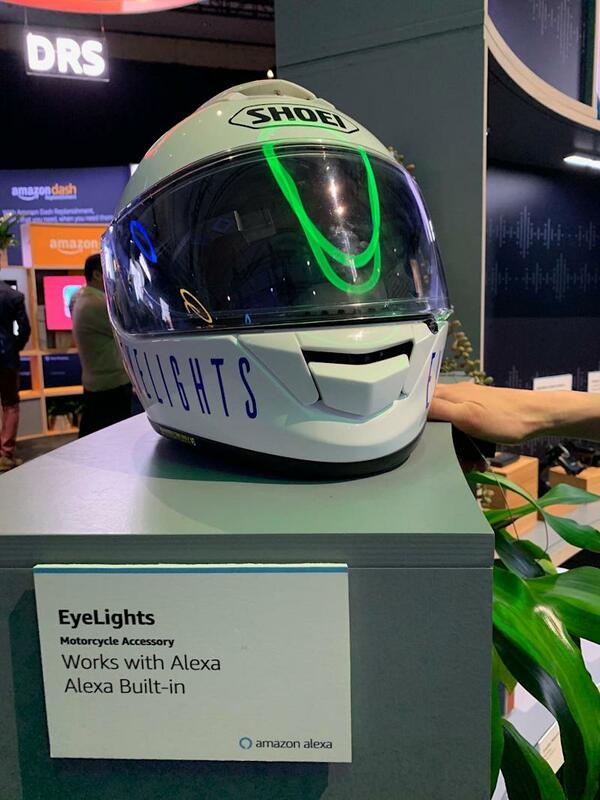 If CES 2019 proved anything, it’s that smart assistants are more ubiquitous than ever — and Amazon’s Alexa remains the market leader. At last week’s tech expo in Las Vegas, Amazon (AMZN) and Google (GOOG, GOOGL) dominated once again. While Google tripled the amount of showroom space it had with a massive two-story ad hoc building and five-car roller coaster in the parking lot across from the Las Vegas Convention Center, Amazon took a more understated approach, renting out a ballroom at The Venetian hotel and populating it with hundreds of Alexa-enabled products from Amazon and other vendors. Days before CES kicked off, Amazon and its partners announced it had sold over 100 million Alexa-enabled devices. That's roughly 10 times less than Google's announced figures, which is that 1 billion people across Android and iOS devices have Google Assistant — up from 500 million this past May — via Google Home speakers and third-party products. Google’s numbers are impressive but remember: the vast majority of Google Assistant owners own Android smartphones, which come with Google Assistant already built-in. And consumer adoption around Google Assistant is different from Amazon Alexa at the moment: Most people aren’t buying Android devices specifically because of Google Assistant the way others are purchasing say, Amazon Echo speakers specifically for Alexa. They’re buying largely because of the mobile operating system, which is in this case, Android. A more telling stat is Alexa’s market share in the smart speaker sector, where Amazon owned a 67% share by the end of 2018 — more than twice Google’s market share. Although Palo Alto-based technology research firm Canalys reports Google is selling more and more speakers, Amazon is expected to maintain its significant lead this year. Amazon would not disclose the number of Alexa-enabled devices at this year’s CES. However, an Amazon spokesperson told Yahoo Finance the number of third-party devices with Alexa built in increased over last 12 months, with over 100 different products launched throughout 2018 and “dozens” more announced at CES last week. Google did not respond to Yahoo Finance’s request for comment. Voice assistants have received significant traction over the last several years, but the market is far from being fully saturated. 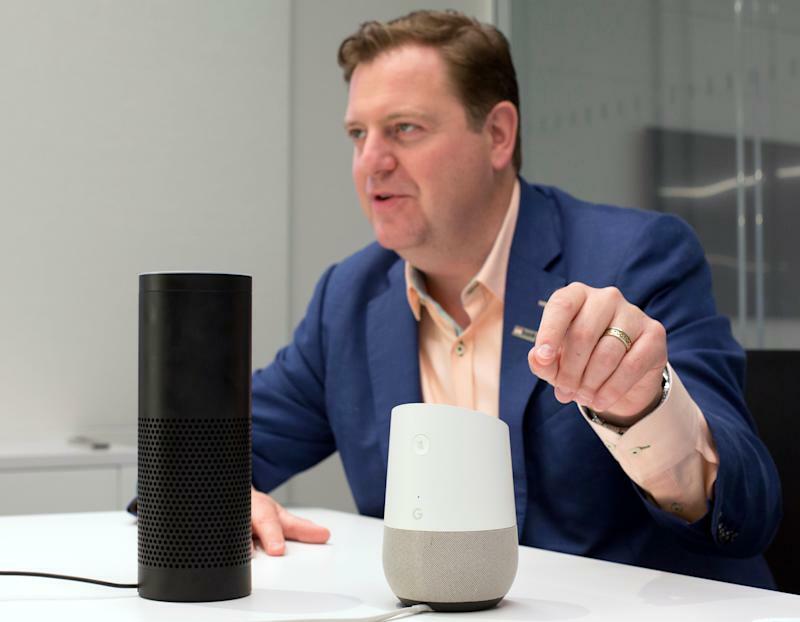 According to a survey published last week by Accenture, 50% of online consumers worldwide use digital voice assistants — up from 42% just a year ago — with voice-enabled speakers currently being one of the fastest-growing technologies. Accenture polled 22,500 consumers across 21 countries for the survey. Of those surveyed, 96% expressed satisfaction with their voice-enabled devices. Given Alexa’s years-long head start and sheer brand visibility, eMarketer estimates Amazon’s smart assistant will remain the market leader in areas including smart speakers throughout 2019, maintaining a 63% market share — at least twice that of Google’s. However, Google is expected to slightly gain some ground, as well. For Amazon and Google, that means many more years of duking it out. The challenge for Amazon in the coming years is maintaining its sizable lead: a task best accomplished by continuing to build out Alexa’s growing Skills set and relationships with outside companies. Google’s challenge right now is convincing more third-party developers that it’s worth their while to bake Google Assistant into devices versus just including Alexa. That won’t be easy, despite Google’s massive war chest, but competition should make for some entertaining experiences at events like CES and with new devices that push the envelope.